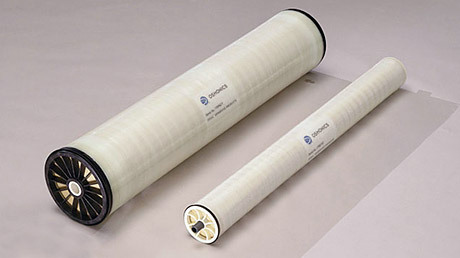 Durafoul is a family series of membrane elements engineered for use with fouling-prone brackish water applications and industrial waste water treatment and reuse application. Typical applications include leachate, municipal, chemical process, textile, paper and cooling tower blow down treatment. 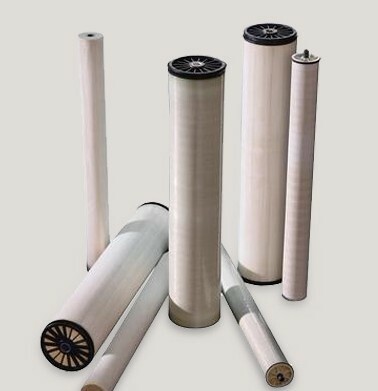 Durafoul is designed to utilize an innovative three-layer membrane, of which a proprietary middle layer creates extreme smoothness, and provide a high rejection of salts. Independent studies have demonstrated that Durafoul elements are superior to standard polyamide spiral wound membrane elements for salt removal in fouling environment. Durafoul elements retrofit existing systems to obtain stable permeate flux, reduced overall energy usage, increased membrane service life and an extension of operating time between required cleanings, which in turn reduces expenditures on required chemicals. Durafoul elements feature a FRP outerwrap, standard feed spacers, and ABS ATD and central tube.